There are certain building blocks that go into making a good living room – a sofa, chairs, coffee table, etc. A living room can’t be made complete with furniture alone. In order to really bring a room to life there must be some accessories. And while accessories vary greatly depending on the people who live there, there are five items that no living room is complete without. Throw pillows are important for a couple of reasons. The first is comfort; even the comfiest sofa and chairs can be made more so with some extra pillows. Sometimes your back might need extra support, or you might want to take a nap and have a pillow to rest your head on. Whatever the reason, a couple of pillows either on the sofa or chairs are worth having. 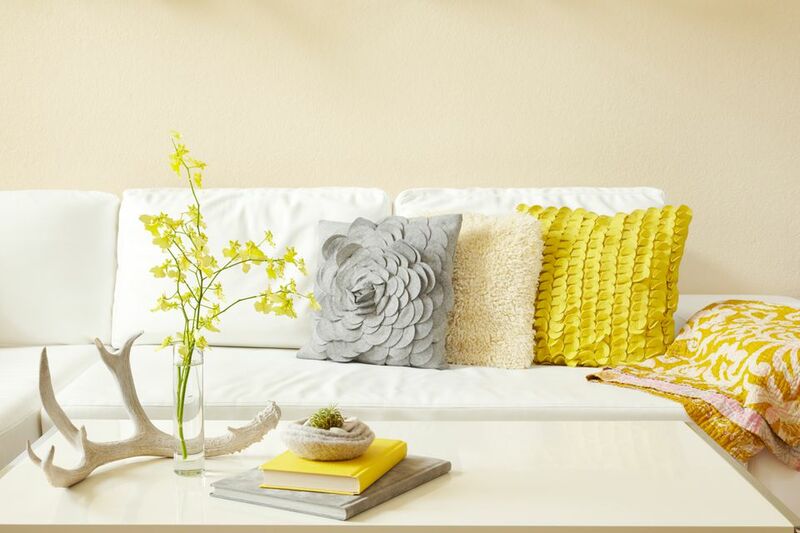 The second reason is decorative; pillows offer a wonderful opportunity to bring in different colors, textures, and patterns without making a large commitment. Pillows can be changed with the seasons, or just whenever the mood strikes. Much like pillows, stylish throws serve multiple functions. They’re practical because you can curl up in them when you’re chilly, but they’re also great for adding a pop of color to a room. If you find that your sofa is looking a little dull, you can give it an instant lift by draping a throw over it. They’re also great for seasonal uplifts. In the winter consider adding a cozy faux fur or cable knit throw, and in the summer try something lighter and brighter. You don’t need to spend a lot of money, but good quality goes a long way in upping your décor ante. Every living room needs to have something that’s alive in it (other than you). If you’re on a budget then plants are probably the way to go, but if you don’t mind spending a little money on a regular basis, fresh flowers are fantastic. Floral arrangements, no matter what their size, breathe instant life into a room and look stunning on coffee tables and mantles. The other thing that’s great about flowers is that they’re good for experimenting with colors that wouldn’t normally go together. You can add flowers of any color to any room and they’ll pretty much always look great. Nothing sets a relaxing mood like candles so it’s important to always have some on display. If you have a mantle you have a great opportunity to display a variety of candles and their holders. They’re also great on coffee tables but be cautious that no one will lean into them. Don’t be afraid to have fun with candle holders and displays, and be sure to change them up with the seasons. The most important item you should have in your living room is something that’s personal and meaningful to you and whoever else lives in your home. It can be a piece of art, a photograph, or some other type of special accessory. The idea is that it not be something that anyone can just go to a store and purchase. This is what will define your living room from everyone else’s and make the room unique to your home.